We were creating this little mobile for a certain wee babe who is almost ready to join the world recently to go with a surprise nine months in the making. Luckily for Lady Moss (who liked it so much) another version quite as nice was displayed proudly and so we are stuck keeping this one. Oh well. A lovely rainy day project, very simple to make with little ones desperate to help. 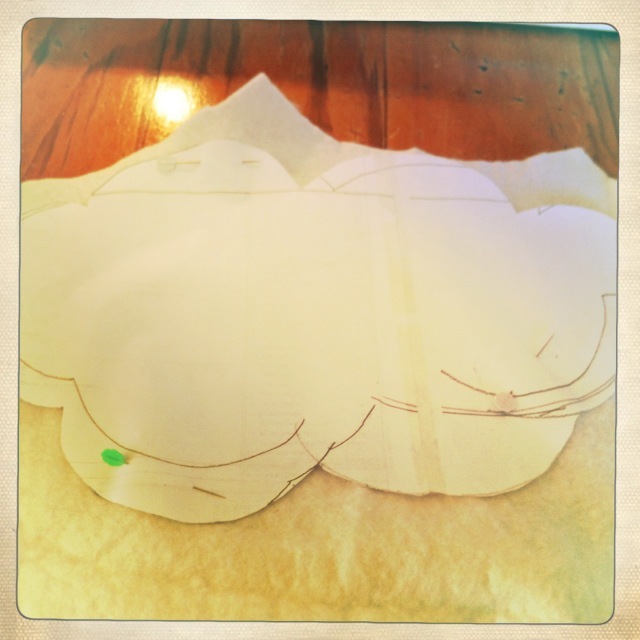 You will need a piece of white felt approx 20×20 inches and a few coordinating scraps. 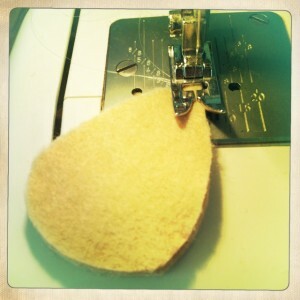 I used my machine but you could just as easily sew by hand or even attempt to teach. With Ari on my lap we proceeded to draw and cut out a cloud template. 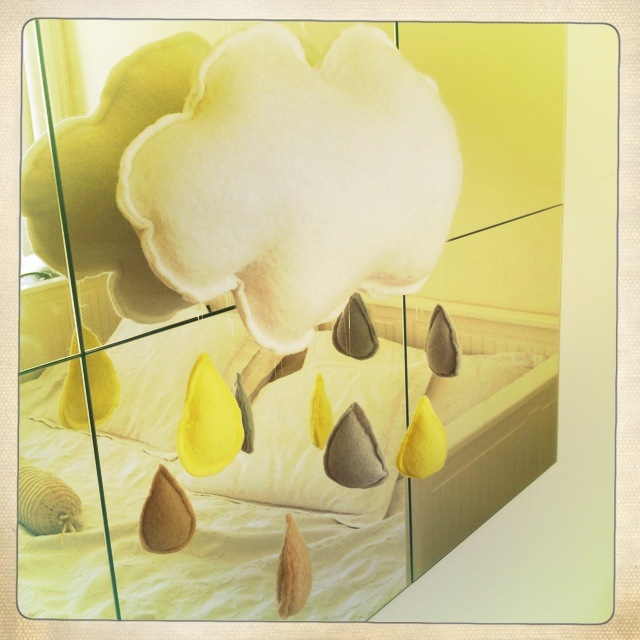 Cut out a bunch of raindrops, we used beige, grey and yellow to match the impending arrivals bedroom, or mine as luck would have it! 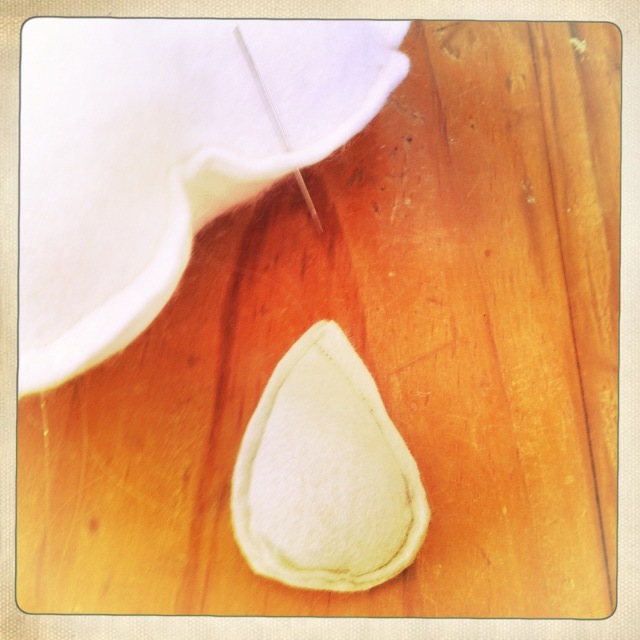 Sew around the edges of your cloud and little raindrops using clear or matching thread whichever you prefer. 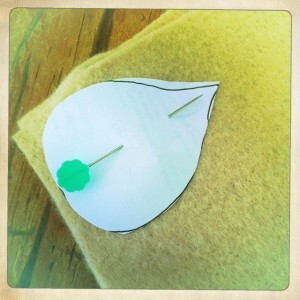 Leave an opening to stuff each before sewing closed. I began and finished from the point of the raindrop, making sure I left myself enough thread to hang each from the cloud. Clever much? Once your pieces are lovely and plump, thread a needle and string them together at differing lengths. Such a tiny thing to give so much pleasure. I can’t wait for more baby news so I can make many many more! A little felt monster for a little human monster….